I had a chance to discuss the results of yesterday’s meeting with Mayor Louis Sceusi of Rockaway Township. The mayor said the meeting was very productive because all the parties involved were present and under pressure from State Senator Bucco and Assemblymen Bucco and Carroll (who were all also at the meeting) to resolve the issue. Jersey City contends that since the state has the conservation easement on the land, it is the state’s responsibility to patrol and enforce the regulations. Jersey City believes recreational use of the reservoir does not benefit its citizens, even going to far to say that they would be happy to see a barbed wire fence put up around it. Luckily, that will not happen. DEP has agreed to step up enforcement patrols and ticketing in the area. Jersey City has agreed to provide whatever documentation is required to allow the direct enforcement of trespassing and other ordinances by Rockaway Township and DEP Conservation Officers. The mayor stated that orders to put up new “No Trespassing” signs around the reservoir have already been issued. 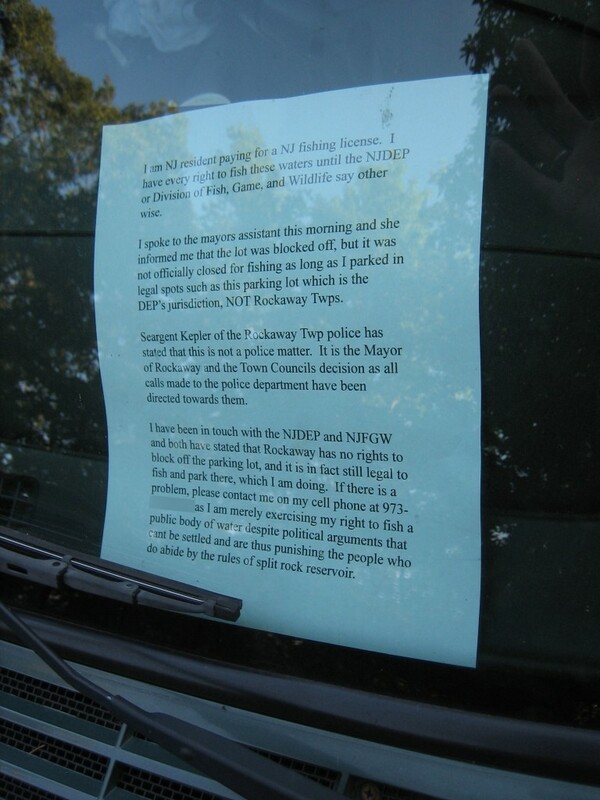 As soon as the authorization paperwork is filed with the various entities people can expect trespassing tickets and other violations such as criminal mischief to be issued regularly by both RTPD and NJ DEP officers. Mr. Sceusi wanted to be clear however, that people fishing, boating, hiking or otherwise legally using the reservoir will not be subject to these tickets. When asked if he saw this as a viable long term solution to the problems at Splitrock, the mayor said yes, assuming all parties follow through with their agreements. He did suggest that the state could go one step further and declare the reservoir a Wildlife Management Area, which would allow even stricter enforcement under WMA rules. As for when the barriers will be removed? The mayor would have liked to have seen them taken away today, but as of early afternoon had not yet received the paperwork. Agreement tentatively reached; Splitrock parking lot to be reopened! 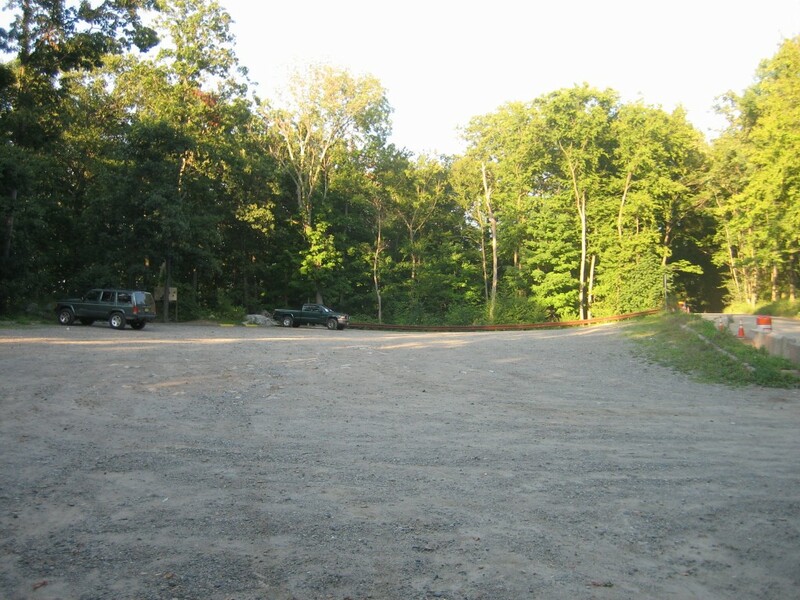 NJ.com is reporting that a verbal agreement has been reached between Rockaway Township, Jersey City, and the NJ DEP which satisfies Rockaway Township’s concerns enough that they are willing to reopen the reservoir parking lot. In the agreement, [Rockaway Township Mayor Louis Sceusi] said, Jersey City will give Rockaway Township and the state Department of Environmental Protection the authority to issue court summonses for rules violations, and the state will increase patrols there. This would allow Rockaway Township and the state to properly police the area and put a quick end to the illegal activities going on there. The mayor said that the barricades would be removed as soon as a written agreement was in place between the three parties, which may occur this week. It is great that they were able to work something out. Hopefully the barriers will be removed in time for people to enjoy using the reservoir this weekend. I left a message last night and spoke with someone in the office of Mayor Sceusi this morning seeking comment. My Father-in-law and I were one of the ones who parked outside of the lot on Tuesday. We were fortunate enough not to get a ticket but ALL other vehicles (with the exception of the two inside the lot) were given tickets sometime after 8pm. I spoke with the owner of one of the vehicles parked inside the barricaded lot Tuesday and he confirmed that he was not issued a ticket. 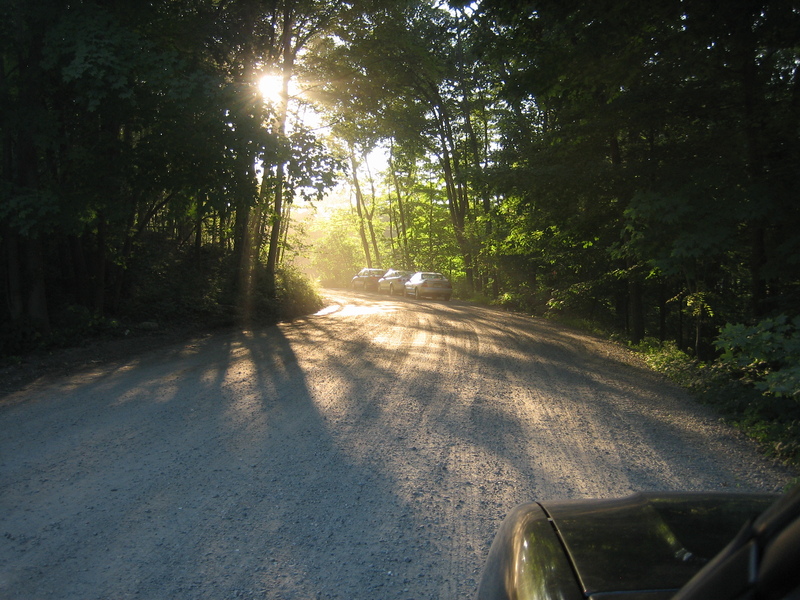 As always, parking on Split Rock Road violates Rockaway Township ordinance, so be careful where you leave your vehicle if you decide to continue using Splitrock Reservoir while the parking lot entrances are blocked. 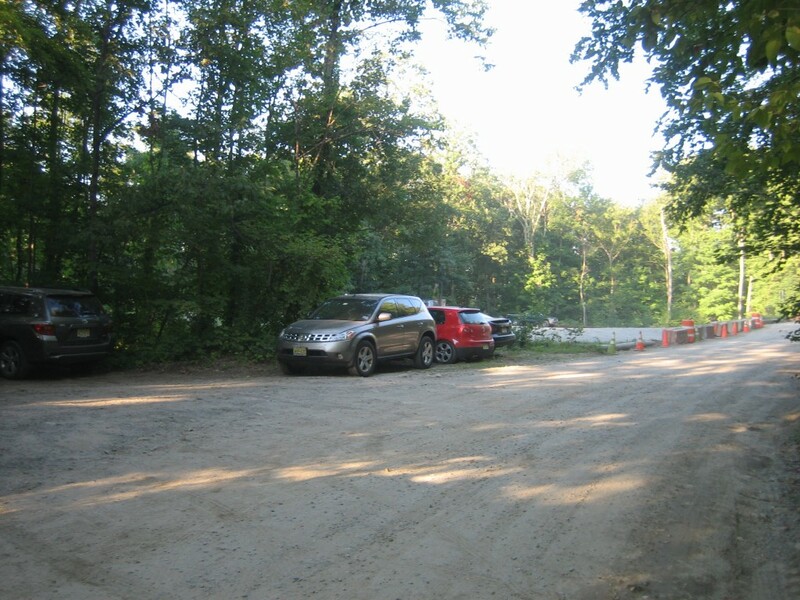 Cars blocking Split Rock Road (and therefore emergency access through the area) are a high priority enforcement item for the Rockaway Township Police Department. I just heard from Matt Wenzel at Assemblyman Anthony M. Bucco’s office that the assemblyman will be at the meeting scheduled for 3 pm today between Rockaway Township’s mayor and council and the New Jersey Department of Environmental Protection. Assemblyman Bucco has been out of the office on business so Mr. Wenzel is still working on getting the assemblyman’s position on the issue. Daily Record writer Rob Jennings has another article on the Splitrock Reservoir closure which available at DailyRecord.com. The article confirms what we learned from Mayor Sceusi and the DEP today. I stopped by the reservoir this evening to see if there had been any change from yesterday. There are still no signs to let the public know why the lot has been closed. Two fishermen with enough ground clearance bypassed the barricades in order to help themselves to the state funded resource they are entitled to. His logic seems sound to me. Interestingly, none of he vehicles present at the time I was there had been issued parking tickets. It seems clear that the barricades are not keeping people from using the reservoir. In fact, they have created a condition in the vicinity of the parking lot which is now more hazardous than before while having little to no impact on the original problem of swimmers, littering and other disrespectful behavior. The New Jersey Department of Environmental Protection and Jersey City have contacted Rockaway Township in order to get meetings scheduled to resolve the jurisdictional and policing problems with the reservoir. It is time to stop punishing the legitimate users of the reservoir, the fishermen, boaters and hikers, and REMOVE THE BARRICADES! This afternoon I had the pleasure to speak at length with Rockaway Township Mayor Louis Sceusi regarding the closure of the parking lot at Splitrock Reservoir. My first question was why he ordered the closure. The mayor wanted to be clear that the people following the rules at Splitrock are not the problem. The reservoir and surrounds are open to fishing from boats (no gas motors), kayaking, canoeing and hiking, but swimming and camping are prohibited. 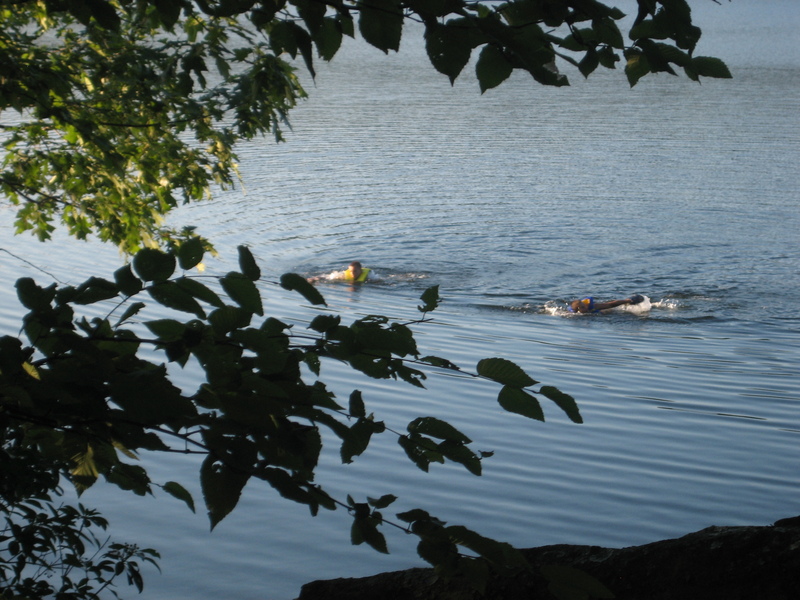 Because the reservoir is owned by Jersey City, the mayor says Rockaway Township needs an affidavit from the owner stating that someone is trespassing before they can act on the swimmers. He has asked for a blanket permission of this type from Jersey City for five years, but “They have ignored me” he says. Without this permission, the complicated jurisdictional arrangement at the reservoir makes enforcement of the rules difficult. Rockaway Township is responsible for the road, Jersey City for the parking area and water, and DEP for fish and game regulation. However, the private security used by Jersey City is not able to effectively police the area. I once caught a person in the act of stealing one of my deep-cycle batteries in the parking lot. The response from the security officer was “What do you want me to do about it?” The mayor is similarly disappointed with Jersey City’s security, even having found a security officer asleep on the job. Mr. Sceusi sees the parking lot closure as a last resort effort to draw both Jersey City and Trenton’s attention to the problems at Splitrock Reservoir. The mayor urges citizens upset about the closure to contact the office of the commissioner of the DEP to state their views. Ways to do so are available at the Contact Information page. I attempted to speak with Rockaway Township mayor Louis S. Sceusi today to get his side of the story. Mr. Sceusi is the one who ordered the parking lot to be barricaded. Unfortunately, I had to leave a message. We’ll see! I will post an update if I hear from him. Larry Hajna from the DEP Press Office was kind enough to return my call and answer a few questions about the Splitrock closure. Mr. Hajna said that DEP was reaching out to Rockaway Township as well as Jersey City (owners of the reservoir) and that the three parties will need to work together to effect a solution. I asked him to clarify the jurisdictional situation at Splitrock. As it had been explained to me in the past by Rockaway Township police officers, the township is responsible only for the road. The reservoir itself and the banks are owned by and the responsibility of Jersey City. The closure of the parking area at Splitrock Reservoir has made the front page of the Daily Record newspaper. Mayor Louis Sceusi said he ordered concrete barriers installed on Monday morning after neither the Department of Enviornmental Protection, which built the small lot in 2004, nor Jersey City responded to his July 14 letter reiterating the town’s concerns. It is good to see some more coverage of the issue. Kayak Fisherman of NJ on Join Us!